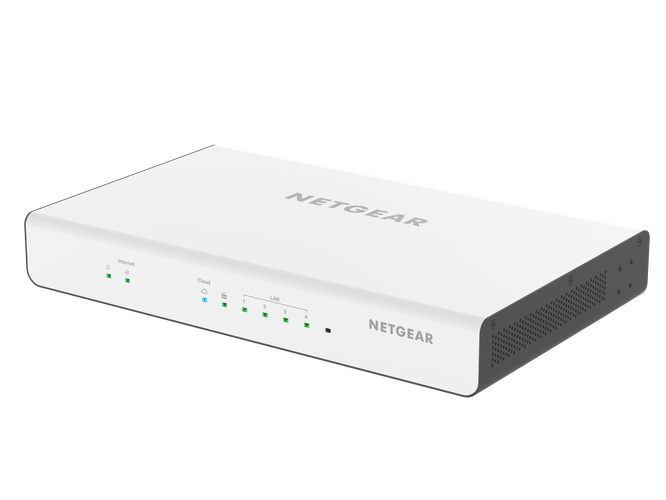 Netgear has announced the availability of its Insight Managed Security router, Insight Instant VPN Business Router. With the new Netgear Insight Instant VPN Business Router, remote employees will be able to access data residing on their office network via their smartphone or laptop. The router enables small businesses or remote office installations to offer instant access to their office intranet through a secure Virtual Private Network. The new router is designed to interconnect up to 3 offices as if they were connected locally, regardless of their geographical location. The Router also makes it easier to connect multiple offices for employees to share IT resources such as fileservers, network-attached storage or other business critical assets. Employees experience access to the local business network as if they were in the office. “Today’s VPN solutions can be lengthy and tedious to configure, making it difficult to implement in businesses without IT expertise,” said Richard Jonker, vice president of product line management for SMB products at Netgear. The Netgear Insight Instant VPN Business Router is available for $459. For more information, visit https://www.netgear.com/business/products/security/BR500.aspx#tab-techspecs.